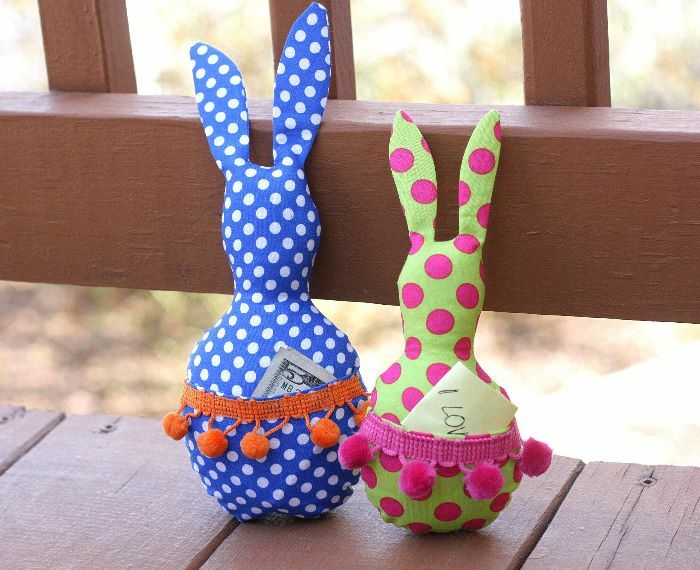 This cute Easter pocket bunny DIY is perfect for tucking some money or a sweet note into. It would make a great little gift for anyone on Easter. The bunnies are easy to sew and the pocket features some adorable pom pom trim. Make a bunch and give them as lovely handmade gifts for Easter. 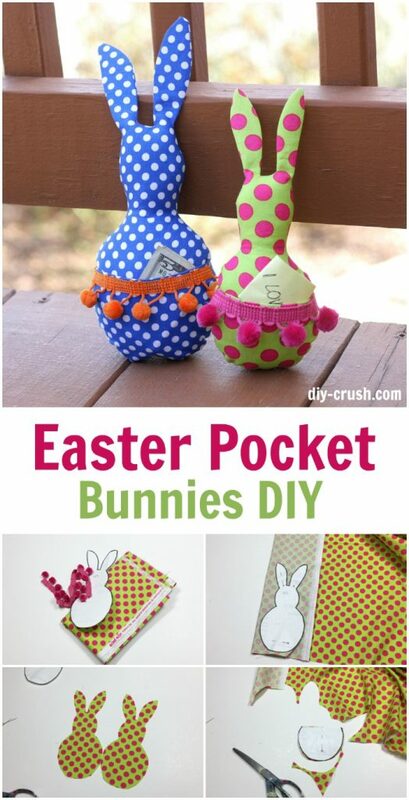 This lovely Easter sewing project would delight anybody who gets one. The bunnies have tiny pockets in the front to tuck in some money or even a hand written note for a special recipient. They come in two sizes. The small one measures about 8.5 inches and the large one measures 9.5 inches tall. That includes the ears! This project is also a great fabric scrap buster as it only requires a small amount of fabric. 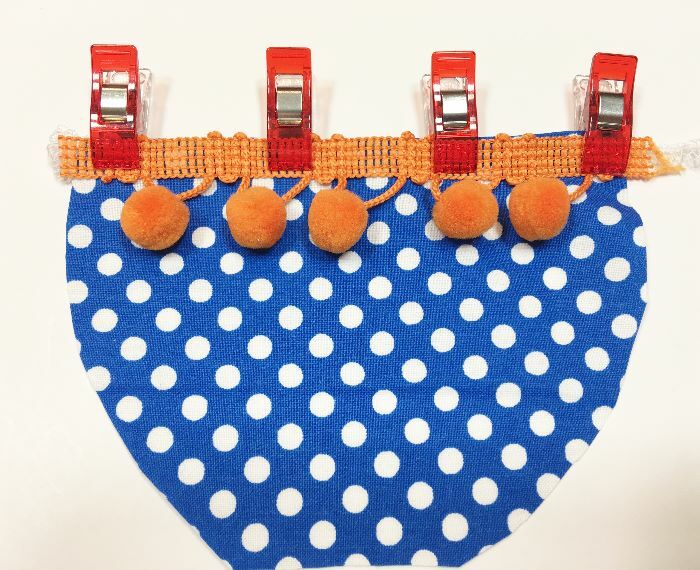 I made mine with woven cotton with cute dots from the Michael Miller dots fabric collection. I added some pom pom trim to the pocket to give it some cuteness. I love how they turned out! 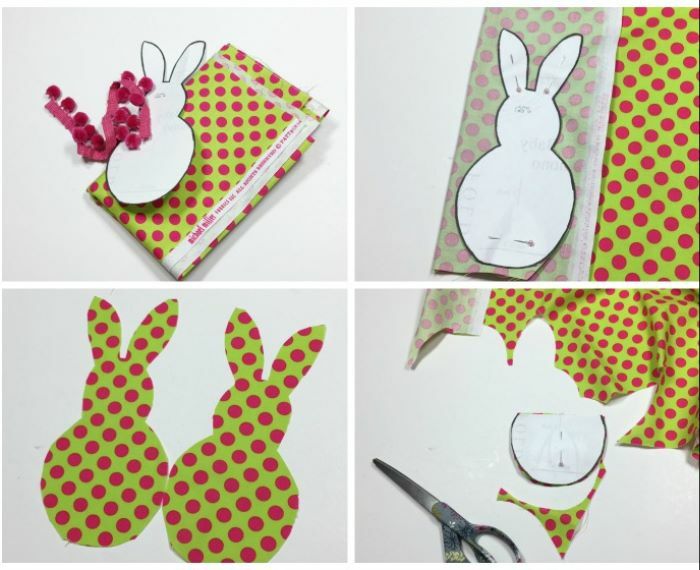 The bunny templates I used for the video are from my Easter bunny applique post, which has 5 different shapes of bunnies. I printed the small bunny at 125% enlargement and the large bunny at 150%. The small bunny had super narrow ears and I scrambled to turn them with right sides out, so I redrew both templates to make it a bit easier to turn them right sides out. This post only has a video tutorial (above) so you can follow the process visually. I hope you’ll enjoy it. download and print the templates <<======== click this link! I think I need to make many more and also enlarge them! My daughter loves stuffed animals and she would be thrilled to have a large bunny with a front pocket! 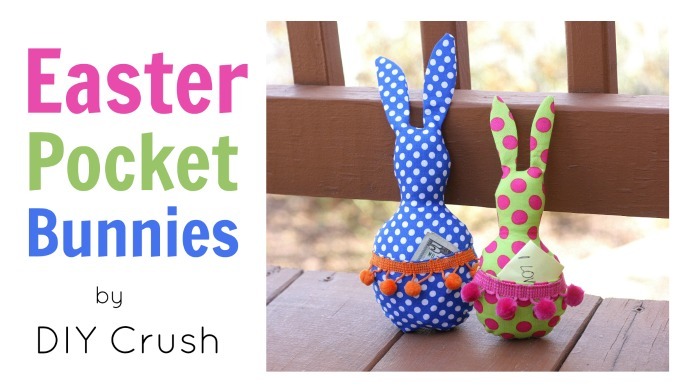 If you enjoyed this free Easter sewing project, please sign up via email on the sidebar! So super cute!!!! Thanks for sharing. Thank you for checking this out, Sarah! !